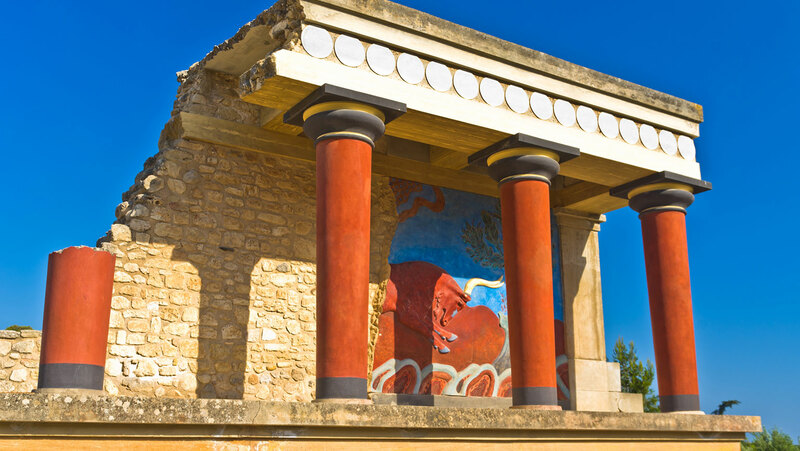 The great palace at Knossos offers dramatic glimpses of the Minoan civilization. Investigate the palace's structure of labyrinthine rooms and its grand courtyards, site of the death-defying bull dance. Ponder the flamboyant ceremonies, court rituals, and sumptuous luxury of the Minoan rulers, recorded in masterful frescoes and tablets memorializing the palace accounts.